Can't You Talk Louder God? 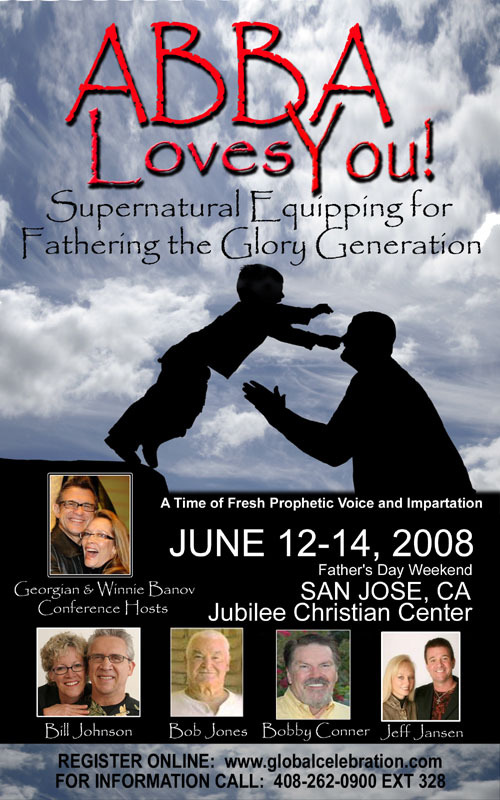 Supernatural fathers are supernatural sons first. To raise up sons and daughters in the Lord, we need to know the intimacies of sonship and walk in the fullness of our rich inheritance. The purpose of this conference is to bring the family of God into an open Heaven atmosphere of first love encounter and receive a fresh impartation from God the Father. Seasoned prophets are declaring that we are on the threshold of the greatest revival and harvest of souls this world has ever seen. There is new wind of the Holy Spirit being released which will empower you for the task of raising this Glory generation to manifest Heaven's realities on earth. If you've been asking, "Is there more for me and my family?" "Yes, there is!" Come experience the full measure of your inheritance and by all means, bring it home. Bill Johnson: Bill and Brenda (Beni) Johnson are the senior pastors of Bethel Church. Bill is a fifth-generation pastor with a rich heritage in the things of the Spirit. Together they serve a growing number of churches that have partnered for revival. This apostolic network has crossed denominational lines in building relationships that enable church leaders to walk in both purity and power. Bill and the Bethel Church family have taken on this theme for life and ministry. Healings, ranging from cancer to broken bones, to learning disorders and emotional healing, happen with regularity. This is the children's bread. And these works of God are not limited to revival meetings. The church is learning how to take this anointing to the schools, workplace, and neighborhoods with similar results. Bill teaches that we owe the world an encounter with God, and that a Gospel without power is not the Gospel that Jesus preached. Bobby Conner: Bobby Conner is uniquely anointed with refreshing humor and razor-sharp prophetic accuracy which has been documented around the world. Bobby's dynamic capacity to release outstanding demonstrations of the miraculous -- healings, signs and wonders -- reveals the very heart of the Father toward us! Surviving a dramatic abortion attempt by his mother, being rescued again by the hand of God from drug dealing and suicide, the story of Bobby Conner is a display of a man who now walks in his God-ordained destiny to set others free! Out of his deep intimacy with Jesus Christ, Bobby is super-sensitive to what the Holy Spirit is now doing throughout the world! The Father heart of God, expressed so beautifully through Bobby and his wife, Carolyn, lastingly transforms lives in every service. 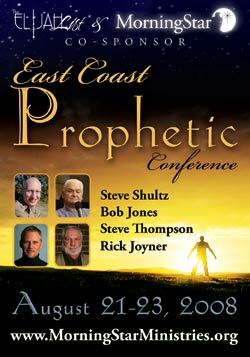 Bob Jones: Bob Jones is a contemporary prophet with a great love for the Lord Jesus and His truth. His prophesies have spanned over three decades as the Lord has enabled him to foretell earthquakes, tidal waves, comets, and weather patterns. Like Daniel who functioned at an incredible level, Bob has often told leaders their dreams and experiences, as well as the interpretation. After years of running from God, Bob came to a wonderful salvation more than thirty years ago. He has moved with a clear revelatory gifting, accompanied by gifts of healing and miracles since that time. Georgian Banov: "Joy Apostles" Georgian and Winnie Banov are a radical power team. Their exuberant childlike praise and deep intimate worship ushers in a breaker anointing for an open Heaven atmosphere through which they deliver life-changing revelations and prophetic insights from the Word of God. Boldly declaring the finished work of Calvary they minister freedom, joy, supernatural healing, and wholeness by exerting the divine labor: Christ, the hope of glory, be fully formed in you! They also hold a special anointing for the release of creative miracles including supernatural blessings for finances, land, and houses. The Banov's travel extensively, holding apostolic renewal meetings and conferences worldwide. 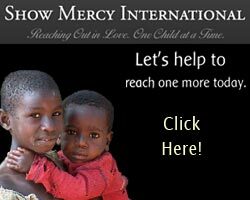 Charged with a heart of compassion for the poorest of the poor, they also host lavish evangelistic feeding crusades throughout the third world. Although the sounds, flavors and spices of these "Kingdom celebration feasts" vary from nation to nation, they find the river of God's extravagant love is always the same -- deep, passionate, all-consuming, and irresistible. Jeff Jansen: Jeff Jansen, founder of Global Fire Ministries, is a revivalist whose ministry of faith, power and revelation has affected the lives of thousands. Jeff's burning desire is to see churches, cities, regions, and whole nations completely transformed by the power of God. Jeff flows in a strong prophetic and miracle healing anointing and releases the Glory of God in fresh fire everywhere he goes. Supernatural explosions of Heaven often manifest in the atmosphere with tangible signs of glory and many being healed and delivered. Jeff teaches, trains, and equips believers how to live and move in the supernatural presence of God and emphasizes that communion and intimacy with the Holy Spirit is vital for transformation in our lives. Jeff also has a unique anointing as a musical prophet, often times proclaiming and declaring the directives of the Lord through music. With or without music, he flows in the prophetic stream of the gifts of revelation. Special Worship with David Ruis: David is a well-respected worship leader, songwriter and speaker. Together with his wife Anita, he has also planted churches in Canada and the US. Several churches in central Canada and the nations of Nepal and India were established under David's role as a Regional Overseer with the Vineyard church movement in Canada. David has several worship songs published that are standards in Church worship, most notably, "You're Worthy of My Praise" and "Every Move I Make". He recently released his latest CD, When Justice Shines through ION Records (ionworship.org). David has also authored two books with Regal Publishing, The Worship God Is Seeking and more recently, The Justice God Is Seeking. At this point, David is giving significant focus to music and the creative aspects of his calling, which involve music production, writing, and composition. David continues to travel internationally both speaking and leading worship. A burning passion for the Ruis family is the discovery of the practical and theological integration of creative worship expression with a lifestyle that interfaces with the issues of poverty and social injustice. David, his wife, Anita, and their four children currently reside in the Los Angeles area.